Home / Buy To Let / Guest Posts / Investment / Where Are The Buy To Let UK Hotspots In 2018? 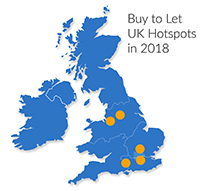 Comments Off on Where Are The Buy To Let UK Hotspots In 2018? 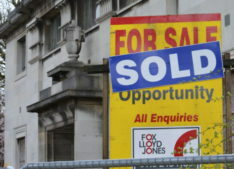 Are you searching for UK buy to let property for sale? If you’re considering making a property investment in 2018, it’s essential to know the key hotspots within the buy to let UK market. Ultimately, the best places to buy to let are the towns and cities that will enable you to receive the best buy to let rates. Buy to let in the UK will see investors look to smaller regional areas for new build developments. These locations offer lower prices and good prospects thanks to vast multi-million-pound regeneration being pumped into the UK’s top cities. This regeneration is set to alleviate the north-south divide. So where are the best places to buy to let 2018? Recent reports have shown the UK residential market is localised with stronger growth in the Midlands, East of England and the North West, a continuation of the trend that has emerged this year with northern postcodes dominating the buy to let yield tables. Liverpool postcodes dominate the top 25 areas of the buy to let yield list. In addition, Manchester makes appearances in the top 25. Research has consistently shown that northern cities offer the best rental yields in the UK. Yields can often reach as high as 7% in these areas, which is greater than that found in parts of London. According to recent figures, more people than ever before are leaving London than are moving there. Many are now looking to the more affordable and up-and-coming cities of the north. Accordingly, investors are following in search of new builds for sale. Now, north-west and north-east homes are set to rise at twice the London rate in the next five years. Stephanie McMahon, Head of Research at Strutt & Parker, postulates Central London’s price-drop may continue until 2020. She states, ‘Regional hotspots are likely to be the drivers of UK house price growth in the meantime, with 18% growth forecast for the UK over five years to 2022’. Why Buy to Let UK? Asking yourself, is buy to let worth it? Property is one of the only asset classes to offer two different returns on investment – enhancing its stability and reliability. 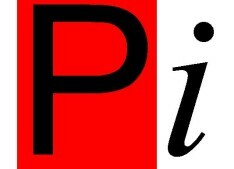 Investors receive consistent rental returns provided every month during the time a tenant is residing in the property. In the long term, investors additionally receive capital appreciation. 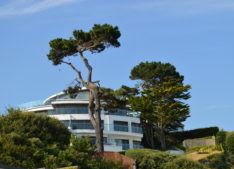 RWinvest are one of the leading property investment companies in the UK. Their expert team have a wealth of knowledge about the latest buy to let property for sale with the best buy to let rates. Their portfolio includes copious new builds for sale across the Northern Powerhouse. The new builds for sale in RWinvest’s portfolio offer some of the best buy to let rates in the UK. Rental returns are often between 7-8%. Capital appreciation can also elevate these rental returns over the long term, which is a likely scenario with the significant growth currently taking hold in the northern cities. Is this what the punitive 3% stamp duty is intended to do?